Start: 7:00 AM at Velorution Cycles. 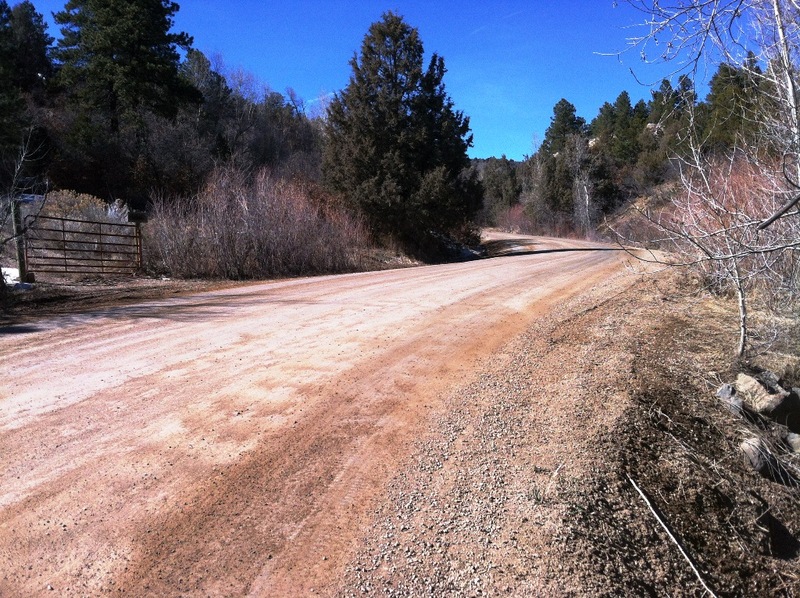 – New Location near Horse Gulch! Do NOT park at the start location. Please ride over to the Start. Finish: Whenever you make it back in town. Finish at Velorution Cycles. Post-Ride Party: Carver Brewing located downtown Durango. If you plan to drive to this ride, park cars near the Horse Gulch trailhead – you will pass through Horse Gulch Trailhead after ~70-miles for the 160, and ~50-miles for the 115, so use this area as halfway staging. 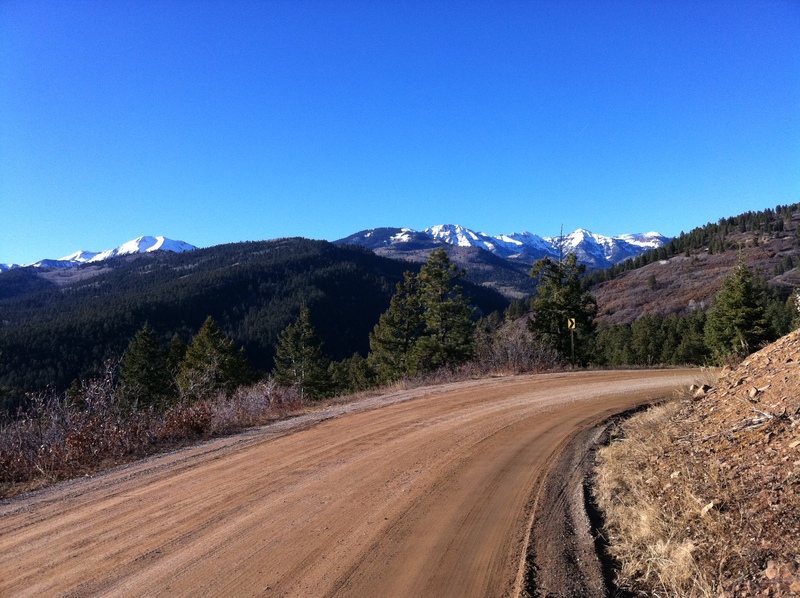 What: Early season riding on dirt roads, paved road – no singletrack. Chose either the 160-miles, with 10,328-ft of elevation gain – or – 115-miles, with 8861-ft of elevation gain. Cross bike, or mountain bike – your choice. Magnesium-Chloride makes for fast dirt surfaces… the route purposely includes some very rough sections to keep the road bikes out of this. Sorry, but while there are great mag-chloride routes that a road bike can handle quite well, this is part of a mountain bike series. Specifically the rough areas are CR 117, CR 136, CR 237/Horse Gulch Road – and you will pass through here twice. NOTE: The City of Durango Parks and Recreation Department has informed us that they do not want our route going through Horse Gulch anymore despite past acknowledgement. Their stance is confusing in that this is a county road and it only covers a couple of miles. We will comply however to avoid dealing with them and their request for a permit complete with the fees they want to extract from the free ride. So for the 2nd loop, we will instead head up Florida Road from town past Edgemont and onto CR 234. We will return the same. In addition, even though the route map shows us returning on 160 from the 1st loop and through Overend Park – that has not been allowed in the past – again by intervention of the City of Durango Park & Recreation. We have made announcements in years past to not use this section and we will not have that part of the course again. We will start and return on Loop 1 via CR 210 as we have done in the past. The route map may or may not be updated (it is a difficult and time consuming process). We expect everyone to follow the route we establish and will not be responsible for anyone riding through the Gulch or Overend. Sorry, but we just do not wish to deal with the city’s unreasonable demands for a permit and the money their department seeks. Mike Kelly approved of the Florida Road route via the phone. PLEASE USE THE REGISTRATION PAGE IF YOU WISH TO ENTER. Congrats to the finishers! My first ultra of 100 plus on ElMariachi 29er rigid 1×9. DNF. Showed up at DJs at 5 til 9, saw time change. 1st loop was dry. started up gulch at noon. 502 killed me with strong icy headwind. Arrived at diner in Bayfield wet and frozen at 2. Critical mistake leaving behind at Gulch 2nd pair of gloves, face protection, and shoe gaitors. Still had great time.. Hope DGG returns next year. Good to see another was out there, and congrats on your first ultra. I was at the 7am start and no one else was there or at the Gulch, so I went out and rode loop one in 4:15 time and then went out on loop two. I decided to ride it in reverse because I rode it last Sunday, but when I got near the gas plant things got horrible…35mph winds and near white out, so I rolled back into town. Rain / snow stopped when I got back to the gulch and I knew then I should not have bailed. Was on pace to be back a little after 5 pm. SS gearing lighter than last year and much better. I may ride this next weekend, but really I was disappointed no one showed up at the start. 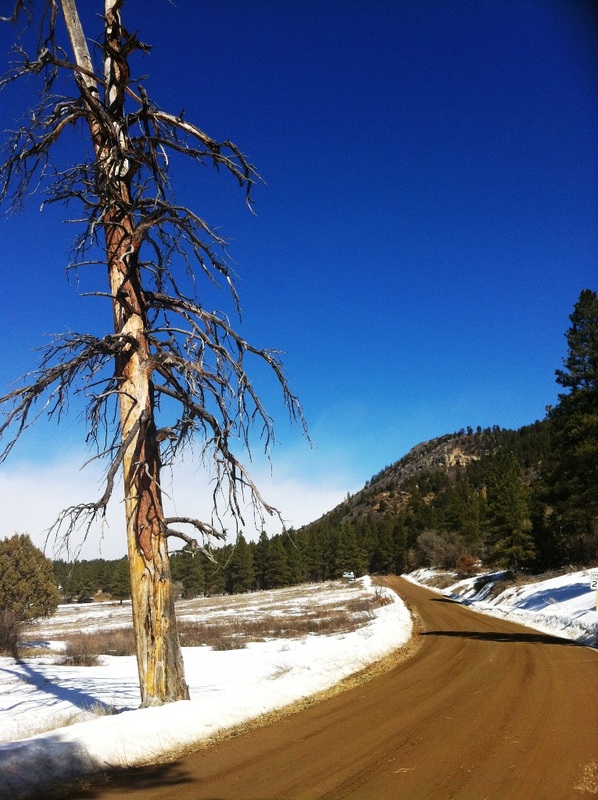 Durango gravel grinder may be dead unfortunately due to little interest. Glad to see one other person was out there….but why were you not at the start…or did we miss each other somehow? 2014 DGG Results! Congrats to everyone who came out for this, and a huge THANK YOU to Velorution Cycles for again hosting this. There were some people on fat tired bikes out there and I think Joey was the only SSer. Not sure of the names of the fat bikers. Let us know please. Sorry if I misspelled anyone name or made a mistake on the times. Please leave a comment here and I will correct. I took a lot of photos but unfortunately lost most of them when transferring to the computer. Hey Matt – glad to host, thanks for organizing! Alex, Jordan, and myself finished at about 7:35 PM, although I wish we were fast enough to crank out 160 in 8 hours! Thanks to Joey Ernst and Sandhya Tillotson of Velorution for hosting the 2015 Durango Gravel Grinder. A late in the week snow storm left some moisture up on the west loop and people had to brave the muddy conditions. The east loop made up for all the troubles and we got somke great finish times on the 115 mile loop with no champions of the Big 160 for 2015. As always thanks for being a part of this and supporting this series. Good job everyone! Extra recognition for Sandhya who bagged her first ever route of 100+ miles! Anyone else having issue downloading GPS from mapmyride.com? Is this happening in 2017? I would love to participate. Hey is there going to be a 2017 edition?